What’s so great about a new manual? Basically, it’s been rewritten to focus more clearly on artist tasks, from the beginning of the visual workflow as you import media to layering and controlling onscreen compositions to recording. Also, rather than simply go through those tasks in dry fashion, there are real-world visual illustrations of how controls might be used (provided by talented live visualist Ilan Katin in most cases, as near as I can tell). 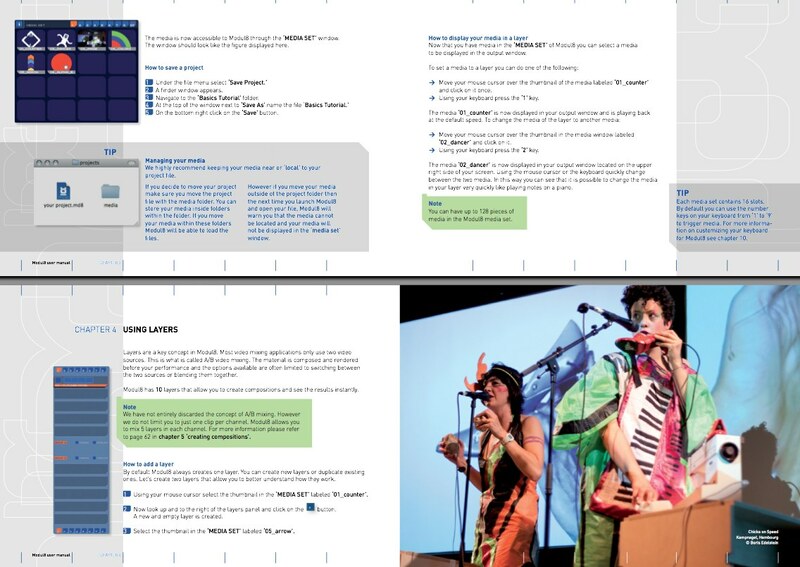 The manual is also nicely interspersed with documentation of people using Modul8 in live contexts onstage. It sets a nice, new bar for online manuals. Note to self: someday, we should again tackle the problem of making a general guide to live visuals and VJing – particularly as past efforts predated some significant shifts in how live visuals work, including greater use of live motion control and computer vision, three-dimensional and generative graphics, and projection mapping. It’s a daunting task. In the meantime, it’d be great to see more tools make documentation like this. 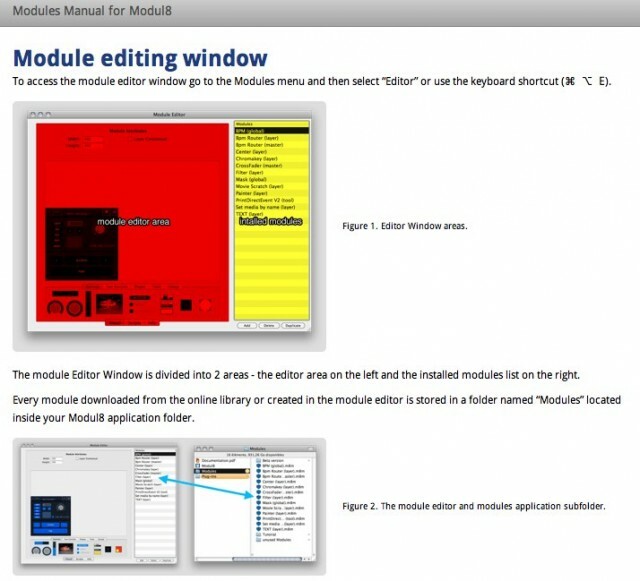 Ready to make Modul8 your own? There’s a more advanced manual for creating custom modules, too, online. There — did I give you something to keep you busy with the remainder of this weekend?